On 14-15-16 September an Annual Clean up International Campaign – “Clean Up the World”, is marked in a lot of countries of the world. It was established at the initiative of the United Nations Environmental Program in 1992. The campaign is carried out every September with about 130 countries participating in it. It is third time Georgia is participating in this action. The organizer of the campaign is a Non-governmental Consortium – Greens Movement of Georgia/Friends of the World Georgia and “EcoVision”, a Union for Sustainable Development which is carrying out its activities in the framework of the Project – “Clean Up Georgia – Raising of Public Awareness and Involvement in Solid Waste Management Improvement. On 14-15-16 September clean up actions will be organized by the Project local coordinators and carried out in Tbilisi and all self-governance cities and municipalities. Our appeal to you is to show your eagerness and join to 14-15-16 September clean up actions together with your colleagues, friends and family members, or choose polluted areas personally in your own environment and clean them up! Remember, this is our responsibility!!! The Project is being implemented by the assistance of the Ministry of Environment and Sida (Swedish International Development Agency) financial support. 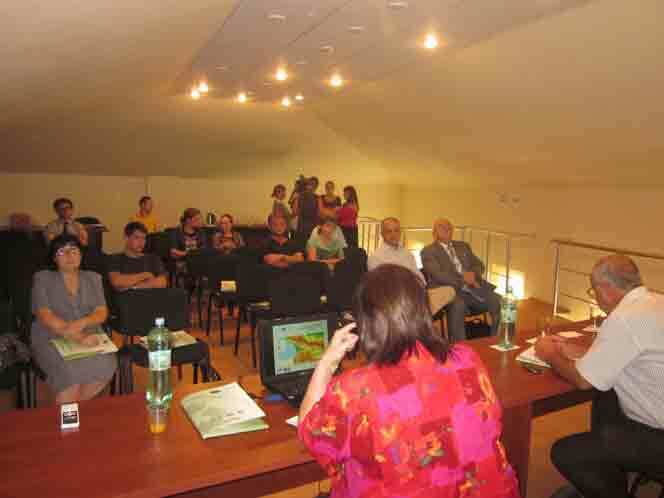 On 31 August 2012, a Meeting-Dialogue was held on “Wastes Management Issues in Kutaisi City and Imereti Region” at Democratic Involvement Center (USAID, N6 Pushkin Street) in Kutaisi City. 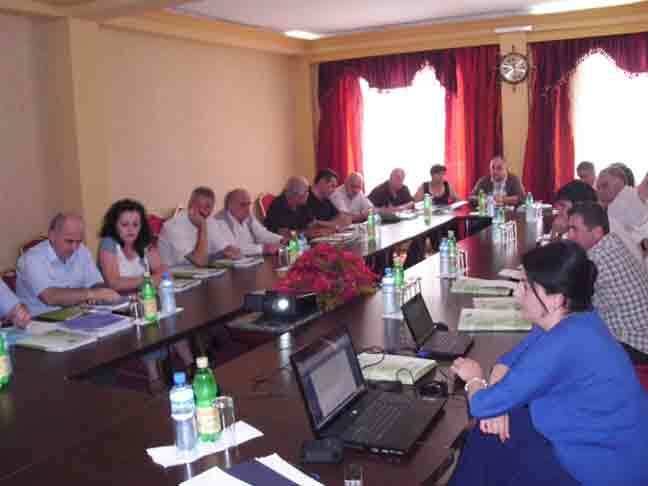 The dialogue on the issues of wastes management in Kutaisi City and Imereti region was held between Non-governmental Organizations, local governance and self-governance bodies, as well as private business representatives. The objective of the Meeting was to share experience on wastes management issues and discuss the possibilities of public involvement improvement. On 25 July 2012 a clean up action was held in Lanchkhuti Municipality in the framework of “Clean-up Georgia” campaign. A group of the youth from Lanchkhuti and Ukranian visitors participated in the action. Lanchkhuti Municipality Administration was involved in the action as well. About 8 cubic meters of wastes collected was later disposed of at the existing landfill. After the action both groups of the youth (Georgian and Ukrainian) participated in the sports games. A discothèque was also arranged. 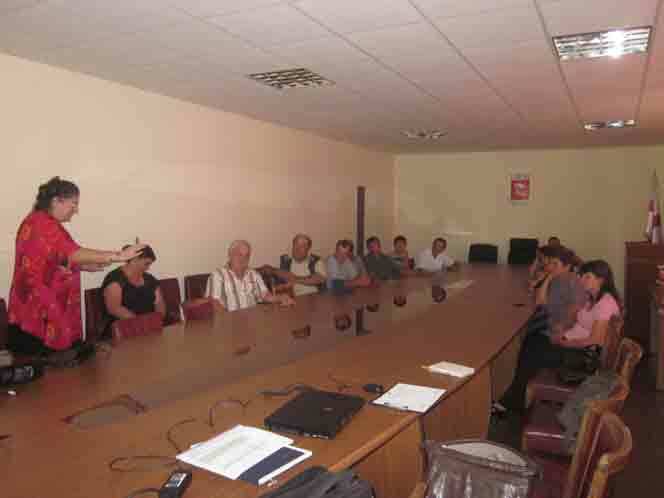 On 18 July 2012 in Bolnisi Municipality in the framework of the Project “Clean-up Georgia – Raising of Public Awareness and Involvement in Solid Waste Management Improvement a Workshop on the issues of wastes management was organized for the representatives of local municipalities, communal services, non-governmental organizations and population. 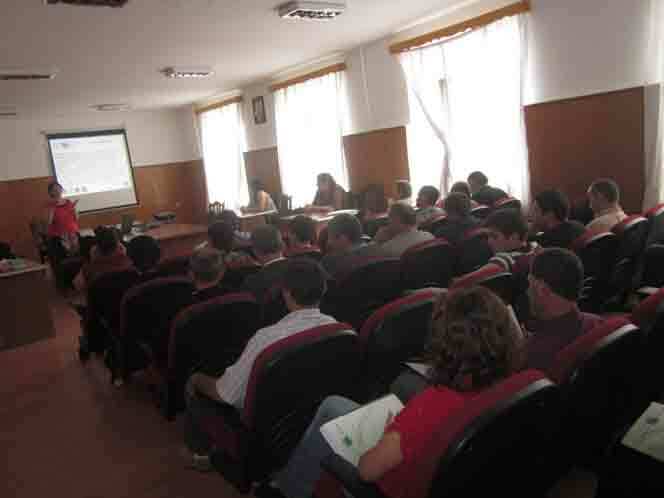 On 18 July 2012 in Dmanisi Municipality in the framework of the Project “Clean-up Georgia – Raising of Public Awareness and Involvement in Solid Waste Management Improvement a Workshop on the issues of wastes management was organized for the representatives of local municipalities, communal services, non-governmental organizations and population. On 11 July, 2012 in Batumi City in the framework of the project “Clean-up Georgia – Public Awareness Raising and its Involvement in the Improvement of Solid Waste Management Process” a regional seminar was held which was attended by Mr. Koba Zakaraia, Deputy Head of Environmental Protection and Natural Resources Department of Adjara Autonomous Republic; Mr. Jemal Ananidze, Deputy Mayor of Batumi City, representatives of Adjara municipalities, Communal Services and Non-governmental organizations. 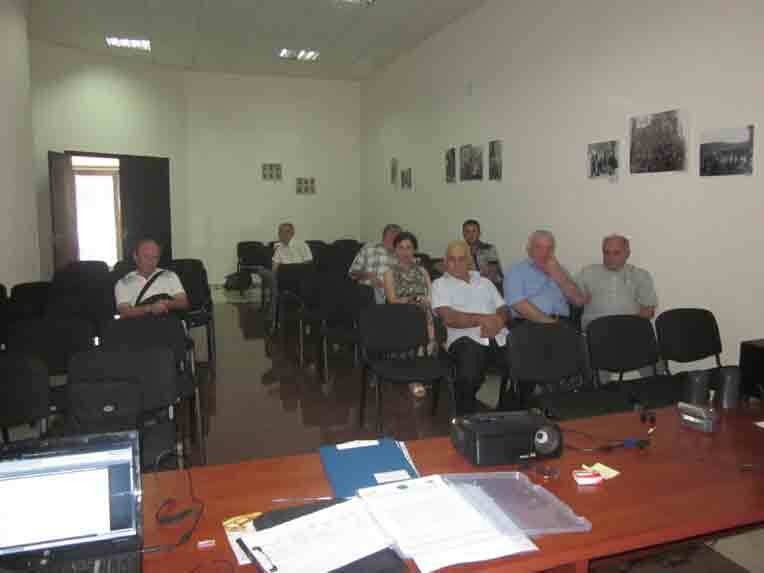 On 9-10 July, 2012 in Adjara Region, namely in Kobuleti and Khelvachauri Municipalities in the framework of the project “Clean-up Georgia – Public Awareness Raising and its Involvement in the Improvement of Solid Waste Management Process” a seminar on the issues of waste management was held for the representatives of local municipalities, Communal Services, non-governmental organizations and population. 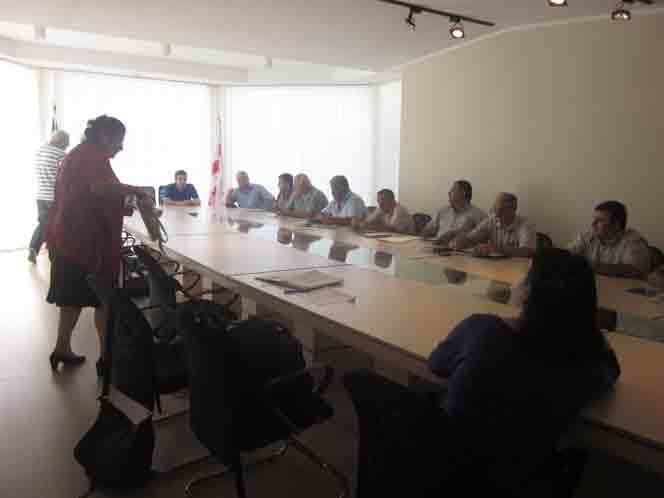 On 9 July, 2012 in Batumi City in the framework of the project “Clean-up Georgia – Public Awareness Raising and its Involvement in the Improvement of Solid Waste Management Process” a meeting with the local population and the representatives of non-governmental sector was held.